It's time to open up your calendars to the week of April 16. Pick a day. Any day, and carve out an hour or so just for yourself. Well, because it's Spa Week. That's why. And YOU deserve to be pampered! 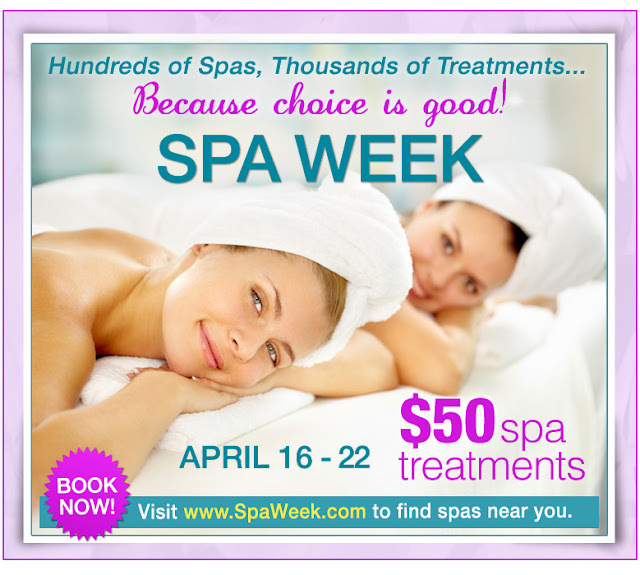 During Spa Week, spas and salons all over the country deeply discount selected services by offering them at $50 each!!! There is no better excuse for enjoying some much deserved "me" time. Visit www.SpaWeek.com to find a participating spa near you. Girls' Lunch Out Comes to Red Bank, NJ! !